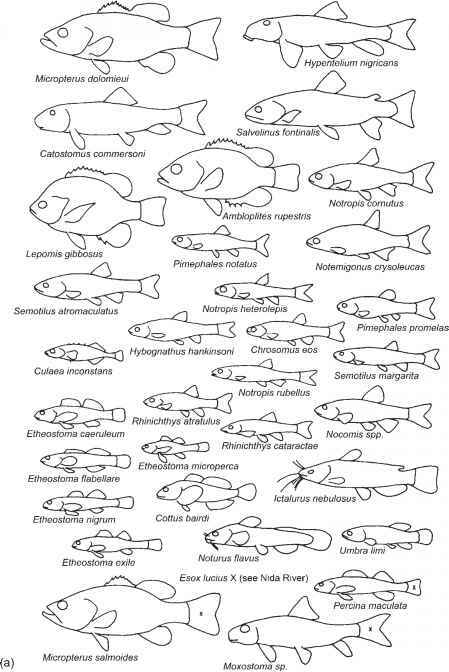 The number of species found at a site varies with the diversity of the regional species pool and with local conditions. In general, we expect to find a larger number of co-occurring species wherever habitat heterogeneity is greater, and this is supported by the many studies that demonstrate a positive correlation between measures of habitat complexity and numbers of species at a site (Section 5.2.3). A complete survey of all the species within a local assemblage is an extremely challenging task. Such studies are unusual partly because the taxonomic knowledge of many groups is inadequate, and partly because the exhaustive compilation of a species list is rarely a priority. It is more usual to find either a detailed study of a single taxon, or an ecological investigation where the focus is on the more common species, while taxa that are difficult to identify are lumped, often at the family or genus levels. Nonetheless, it is apparent that species richness is affected by a number of variables. The estimated number of species always depends upon the size of the sample collected: the more individuals examined, the more species one is likely to find, invariably through the addition of rare or occasional species. 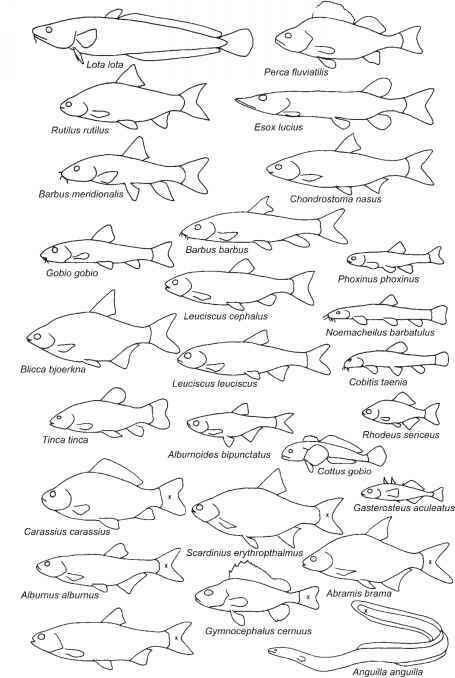 More species are found in large rivers than small streams, apparently because the spatial area and habitat diversity are greater in larger systems, as discussed above. Historical differences between regions in rates of speciation and rates of extinction will influence the size of the species pool, and hence have an impact on local diversity. at a decelerating rate. 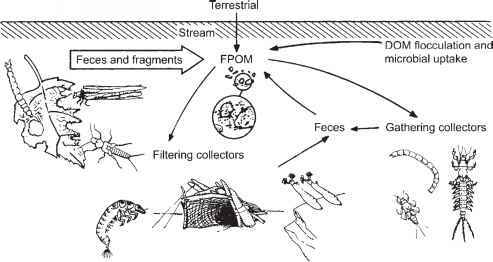 The latter relationship has been reported from streams of widely different regions (Figure 10.4b), and clearly illustrates the dependence of local species richness on sampling effort. Statistical methods can be used to extrapolate the relationship between number of species and sample size to estimate the true number of taxa in the assemblage (Colwell and Coddington 1994). Using 25 individual stones as the sampling unit, Melo and Froehlich (2000) were able to characterize invertebrate richness for a series of streams in Brazil, and compare sites and seasonal patterns. However, new taxa accumulated even when as many as 150 individual stones were sampled locally at a site (Melo and Froehlich 2001). 80% of the total number of individuals (Illies 1971). Woodward et al. (2002) report a similar finding for the Broadstone Stream, United Kingdom, which is relatively species-poor due to the stream's natural acidity. Demonstrating remarkable consistency over 24 years of study, a core community of eight taxa always was present and contributed 75% or more of total individuals (Figure 10.5). A practical consequence of the tendency for a few species to dominate an assemblage is that collection of a small number of samples will include most of the common species, whereas further sampling effort will continue to produce additional species almost (but not quite) indefinitely. This underlies the relationship between sample size and local species richness (Figure 10.4), which in turn influences the amount of sampling effort necessary to characterize a system.